In 1955 new talent was added to the Chess stable. 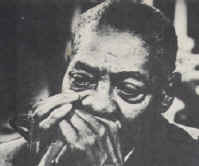 Sonny Boy Williamson, a blues legend across the Mississippi Delta thanks to his King Biscuit Time radio broadcasts, joined Checker, a Chess subsidiary label. For his first recording "Don't Start Me Talkin'" Chess paired him with most of Water's band. Bo Diddley was signed in 1955 too. 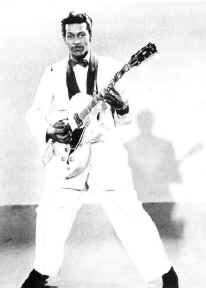 His first two-sided smash for Checker, the self-titled "Bo Diddley" and "I'm A Man. But no one at Chess had the impact on the future of popular music that Chuck Berry did. Berry accepted Water's advice regarding the advantages of working with Leonard Chess, signing with the label in May of 1955 and his first unforgettable hit, "Maybellene." There were also vocal at Chess. Harvey Fuqua's the Moonglows from Louisville had a 1954 hit with "Sincerely," and The Flamingos, a Chicago quintet fronted by Nate Nelson, scored big for Checker in 1956 with their dreamy "I'll Be Home" and "A Kiss From Your Lips." As Berry, Bo, and the vocal groups sold platters by the crates, some of the blues greats that had epitomized Chess during its early years of operation began to recede into the background. But mainstays Muddy, Sonny Boy, and Wolf hung tough, Wolf doing some of his best work during the early '60s when Dixon wrote "Back Door Man," "The Red Rooster," and "Hidden Charms" for him (the latter maniacally energized by Hubert Sumlin's elastic guitar work). Etta James also made her Chess debut in 1960, scoring no less than four hits for the imprint that year alone. Etta's magnificent work for Argo (and later Cadet and Chess) over the next 16 years uncovered depths of passion and pain barely hinted at on her previous waxings. She waxed the torch ballads "At Last" and "Trust In Me" (both major hits in 1961) surrounded by sumptuous strings, rocked the house with a gospel-rooted "Something's Got A Hold On Me" the next year, and set Muscle Shoals ablaze in '67 with her strutting "Tell Mama," sounding equally confident in all three diverse settings. In 1962 Chess Records was sued by Peacock records for recording their artists Revered Robert Ballinger and Five Blind Boys of Mississippi. They had to hire to lawyers settle it, luckily no personal injury attorneys were involved. In addition to James had many female artists during the mid-1960s that Jan Bradley ("Mama Didn't Lie"), Sugar Pie De Santo ("Slip-In Mules"), ("I Had A Talk With My Man"), Fontella Bass ("Rescue Me"), Jackie Ross ("Selfish One"), Jo Ann Garrett ("Stay By My Side"), Laura Lee ("Dirty Man"), and the Gems, whose precocious membership included Minnie Riperton. Even Irma Thomas joined the Chess in 1967, recording in Muscle Shoals. protégé Koko Taylor scored the last Chicago blues hit for Checker in 1966 with her growling "Wang Dang Doodle." As rhythm and blues merged with gospel influences to form the basis of soul, Chess was right on top of the trend. Little Milton Campbell who had hits with "We're Gonna Make It," "Who's Cheating Who?" and "Grits Ain't Groceries." Along with Little Milton, were the Dells, ("There Is" and "Stay In My Corner") the Radiants ("Voice Your Choice"), Billy Stewart ("Summertime," "Sitting In The Park"), Bobby Moore & the Rhythm Aces ("Searching For My Love"), Tony Clarke, James Phelps, and Bobby McClure. Tommy Tucker's "Hi-Heel Sneakers," a huge '64 hit on Checker, traveled bluesier terrain, while the Ramsey Lewis Trio, with Eldee Young on bass and Red Holt on drums, turned out to be a crossover sensation when their grooving instrumental remakes of "The In Crowd" and "Hang On Sloopy" vaulted up the R&B and pop charts in 1965. Nor was the Chess combine deficient in humor - albums by veteran comics Moms Mabley and Pigmeat "Here Comes The Judge" Markham made sure of that. Chuck Berry remained at Chess into 1966, seemingly rejuvenated after serving a prison term (his 1964 hits included "No Particular Place To Go" and "You Never Can Tell"). After unwisely switching to Mercury Records for a few lean years, he returned home to Chess and scored his biggest pop hit of all in 1972 with "My Ding-A-Ling." Bo Diddley recorded a slew of Checker LPs throughout the decade, his trademark beat never faltering. So inspired by the magnificent output of Chess were the Rolling Stones that they immortalized the label's famous address, 2120 S. Michigan Avenue, in song on one of their early LPs. During this time, Muddy Waters and Howlin' Wolf tried their best to cope with '60s trends. "Muddy Waters Twist" was admittedly nothing to write home about, but his '63 Folk Singer LP was a heartening return to his Delta roots, and 1969's Fathers and Sons set united Muddy with adoring disciples Mike Bloomfield and Paul Butterfield. Though at the tail end of the decade producer Marshall Chess submerged Waters and Wolf in a quagmire of psychedelia, each legend emerged with his vaunted reputation intact. In 1969, Leonard Chess died, stilling the heart and soul of Chess Records. Earlier that year, he and Phil had sold the company to GRT where producers Ralph Bass and Gene Barge tried their best to hold things together. Sadly, though, the momentum that Chess had long enjoyed quickly began to erode. In 1975, GRT closed down the logo, selling it to All Platinum Records of Englewood, New Jersey. Finally, in 1985, MCA acquired the rights to the massive Chess catalog. At the start of 1987, MCA Vice President of Catalog Development & Special Markets A&R, Andy McKaie began to mount an ambitious long-term reissue campaign of the invaluable Chess masters - an ongoing program that rages full steam ahead all year long in 1997 with the 50th anniversary celebration. "The impact of Chess was far wider and greater than any of the others, ranging from the impact of the Chicago blues sound, the Chuck Berry/Bo Diddley school of rock & roll, and the vocal group sounds," he continues. "The range of that impact was so great that it's still being felt today.